For more information and to register, please contact North Shore Community College at 978-236-1200. The Bald Eagle is one of our national symbols. Each winter, Bald Eagles from northern New England move south to the lower Merrimack River which provides perfect, winter habitat for these majestic birds. These spectacular birds soar high over the water and then stoop to secure prey with their sharp talons. 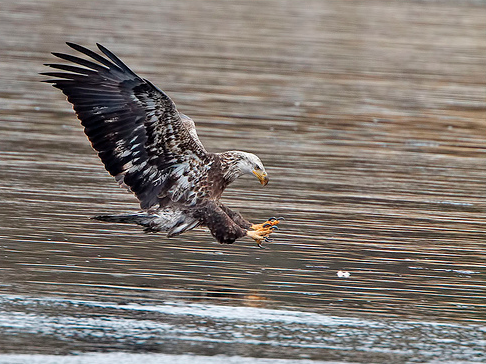 We’ll visit Bald Eagle habitat along the lower Merrimack River. Dress in layers for outdoor weather, including waterproof boots, wool socks, hat and gloves. This program will be conducted outside along the river’s edge. This one day course is a pass/fail course.